The Muffin Pouffe (looks a little more like a cupcake to me) was showcased by Italian designer, based in East London, Matteo Bianchi this week at TENT London 2011. 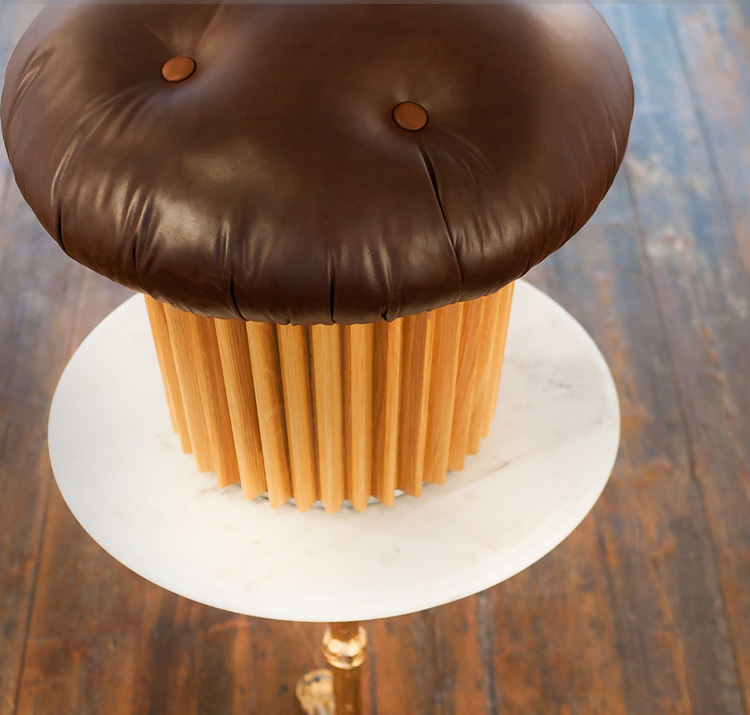 A humorous take on the classic ottoman, the Muffin Pouffe’s seat is covered with leather cushioning that looks like chocolate. The pouffe comes in two models, the ‘standard’ model and the ‘storage’ model that has a removable muffin top (always the best part) that reveals a hollow interior for stashing, well, whatever you want. This entry was posted in Fun, Industrial Design. Bookmark the permalink. Not really convinced by this… maybe you have to be a dessert person to appreciate? Dude, lighten up. It’s a muffin. Muffins aren’t really dessert.